Antiviral agent, has immunomodulatory and protivogrippoznoe action specifically inhibits influenza A and B. 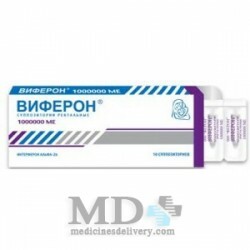 It has interferon properties, stimulates the humoral and cellular immune response, the phagocytic function of macrophages, increases resistance to viral infections. Postgrippoznyh prevents the development of complications, reduces the frequency of exacerbations of chronic diseases, normalizes immune parameters. Antiviral activity due to suppression of lipid envelope virus fusion with the cell membrane of the virus by contact with the cell. The therapeutic efficacy of the flu appears to reduce the severity of intoxication and catarrhal symptoms, shortening the periods of fever and the total duration of the disease. Refers to the little toxic drugs (LD50> 4 g / kg). Do not have any negative impact on the human body when taken orally in recommended doses. Prevention and treatment of adults and children: influenza A and B viral respiratory infections (including complicated bronchitis, pneumonia), secondary immunodeficiency states. Combined therapy of chronic bronchitis, pneumonia and recurrent herpes infection. Prevention of postoperative infectious complications and the normalization of the immune status of adults. Hypersensitivity, children's age (up to 2 years). Inside, before meals. To prevent non-specific: in direct contact with patients with influenza and SARS, etc. 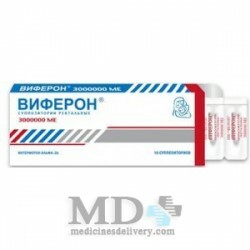 : children from 3 to 6 years - 50 mg, 6 to 12 years - 100 mg, over 12 years of age and adults - 200 mg 1 time a day for 10 - 14 days during the epidemic of influenza and other acute respiratory viral infection, for the prevention of exacerbations of chronic bronchitis, recurrent herpes infection: children from 3 to 6 years - 50 mg, 6 to 12 years - 100 mg, over 12 years of age and adults - 200 mg 2 times a week for 3 weeks. For treatment of influenza, SARS, etc. without complications: children from 3 to 6 years - 50 mg, 6 to 12 years - 100 mg, over 12 years of age and adults - 200 mg 4 times daily (every 6 hours) for 5 d; flu, SARS, etc. with the development of complications (bronchitis, pneumonia, etc.) for children 3 to 6 years - 50 mg, 6 to 12 years - 100 mg, over 12 years of age and adults - 200 mg 3 times a day for 5 days, then a single dose one time per week for 3-4 weeks. In the treatment of chronic bronchitis, herpes infection: children from 3 to 6 years - 50 mg, 6 to 12 years - 100 mg 1 time a day, or one every 3 days, children over 12 and adults - 100 mg 3 times daily for 3-4 weeks. In severe cases: children from 3 to 6 years - 50 mg, 6 to 12 years - 100 mg, over 12 years of age and adults - 200 mg 3 times a day for 5 days, then a single dose 2 times a week for 3 -4 weeks. Prevention of postoperative complications adults - 200 mg for 2 days prior to surgery followed by 200 mg of 2 and 5 days after surgery. Does not show the central neurotrophic activity and can be used in medical practice as a preventive measure in healthy persons of various professions, including requiring attention and coordination of movements (transport drivers, operators, etc.). 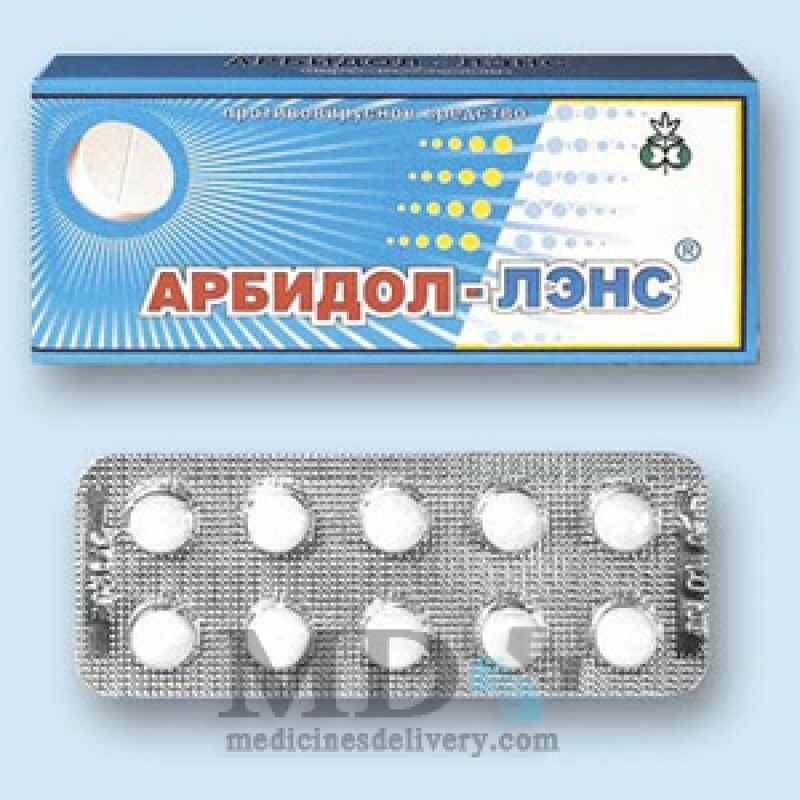 Russian scientific reserach reports indicate it works against bird flu (avian influenza, H5N1). Flu treatment and prophylaxis, acute respiratory infection, chronic bronchitis, pneumonia, recurrent herpetic infection.